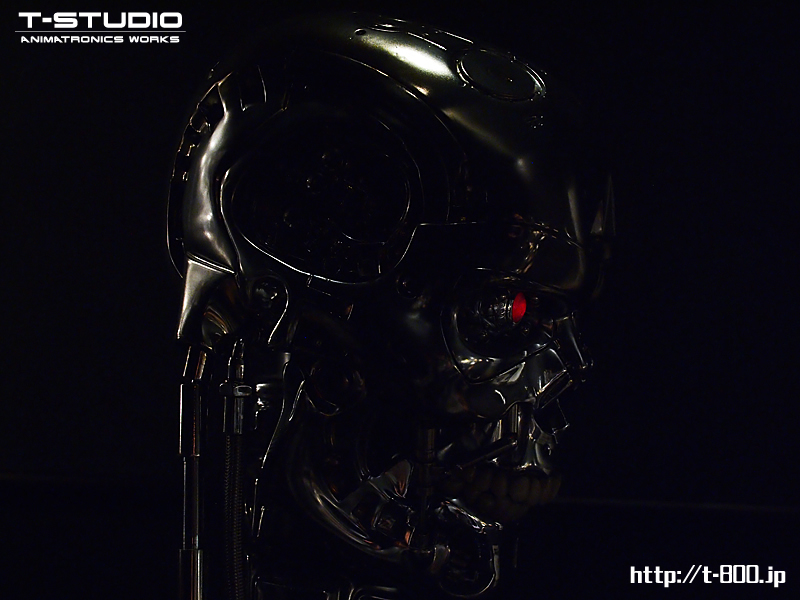 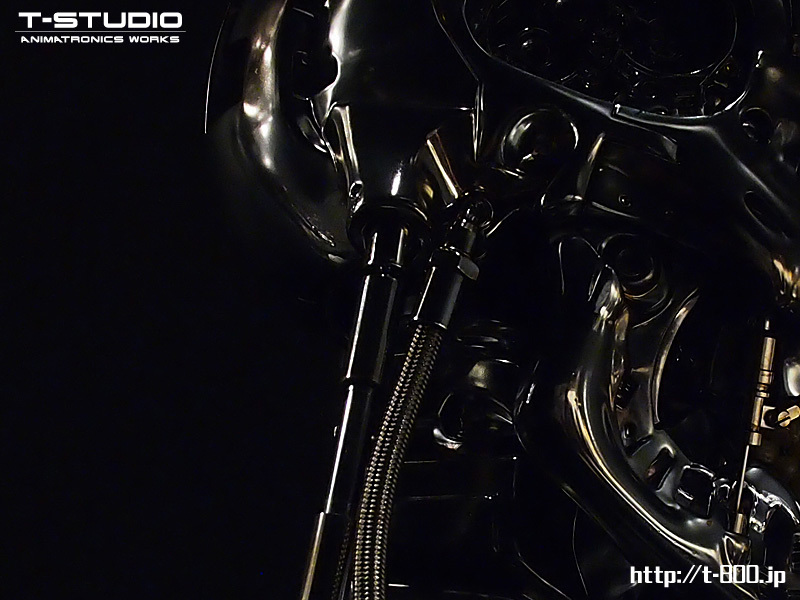 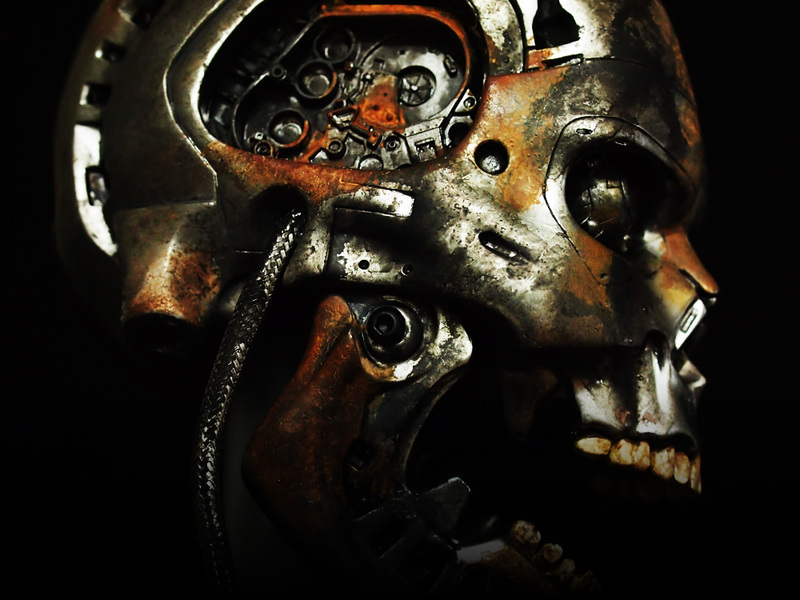 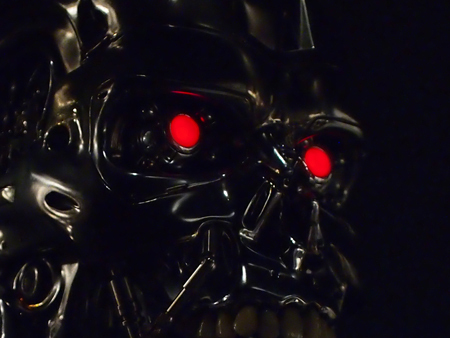 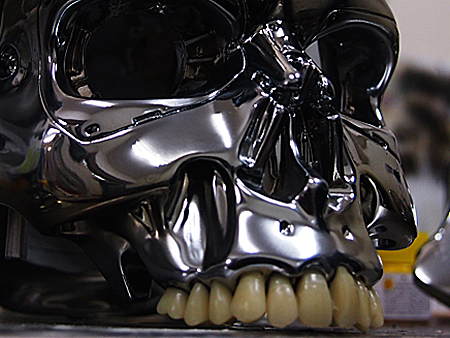 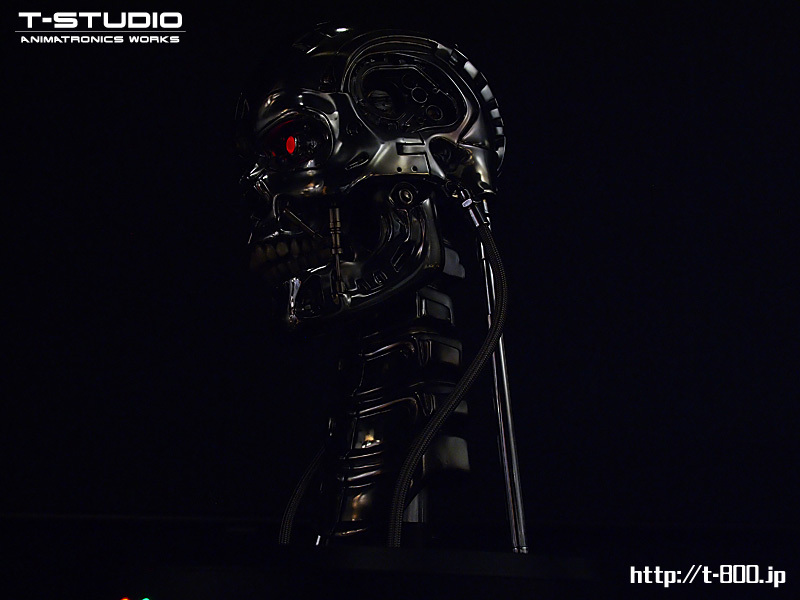 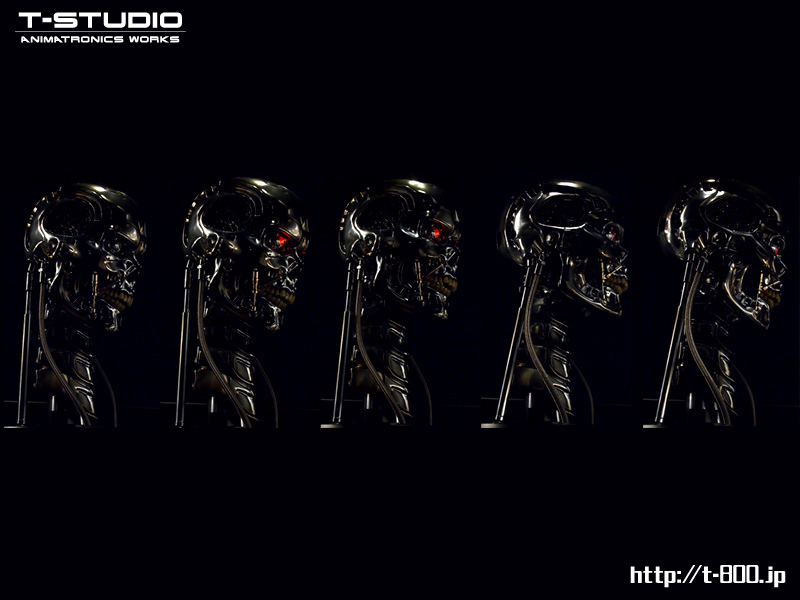 Added a distressed, scorched look to portray a mean-looking Endoskeleton from T1. 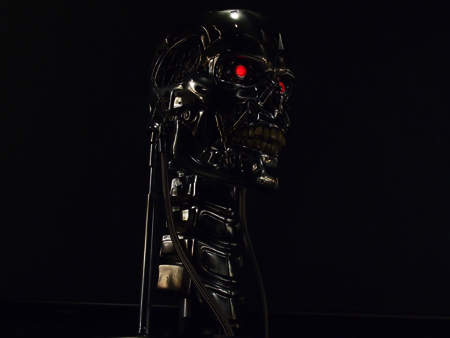 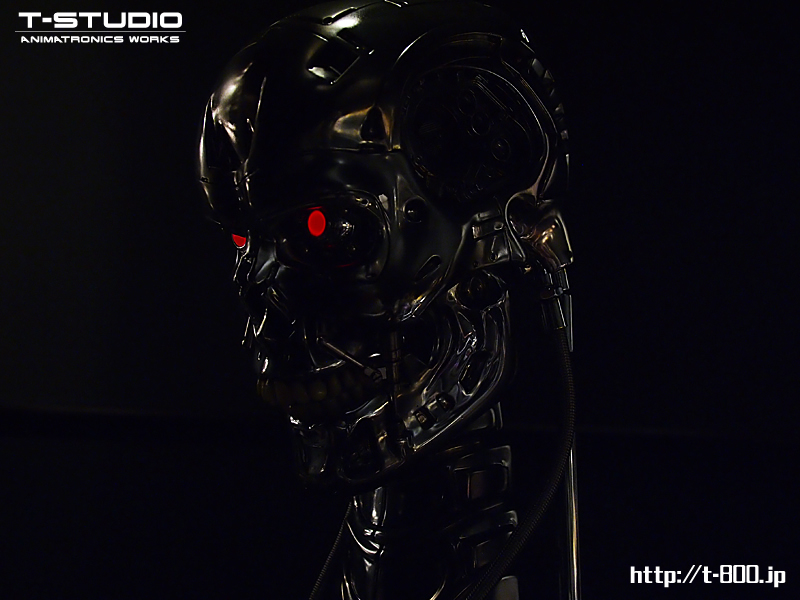 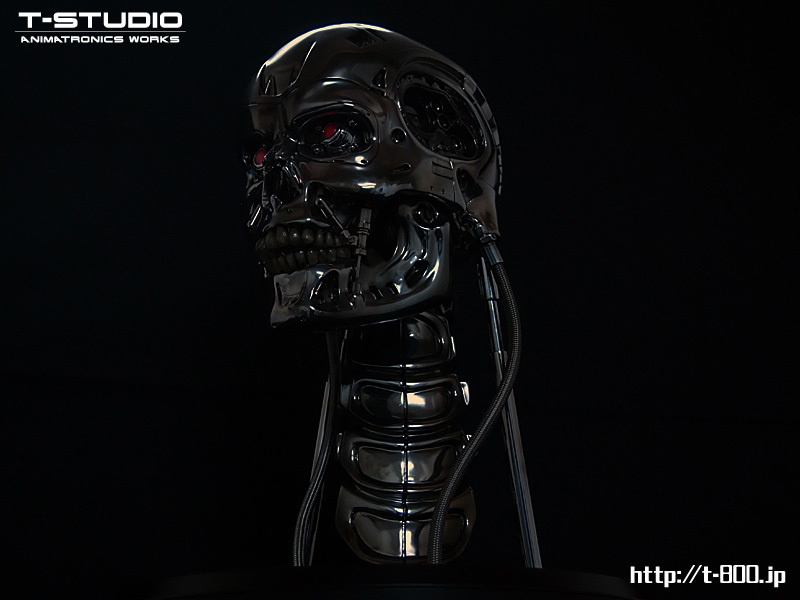 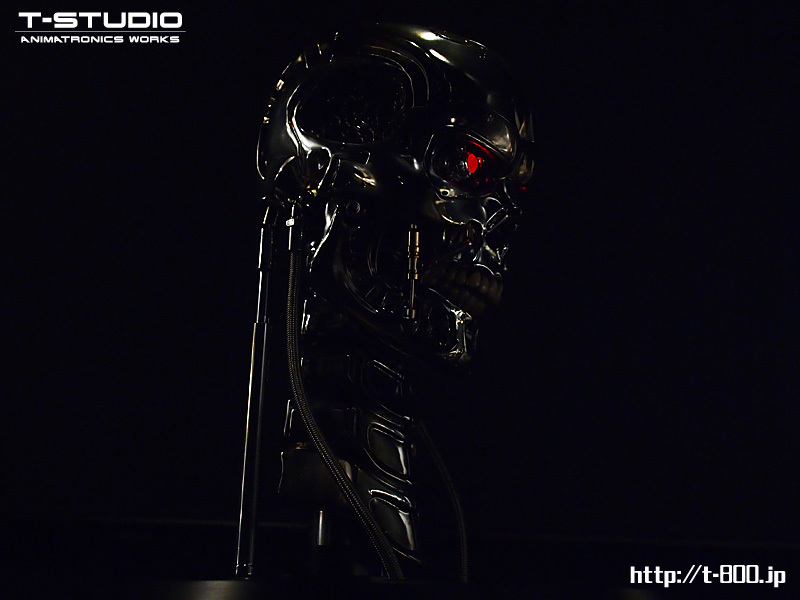 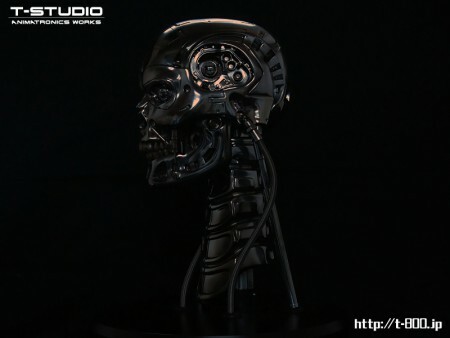 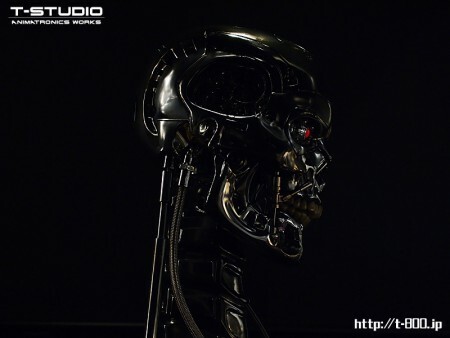 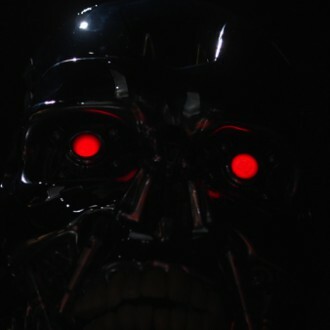 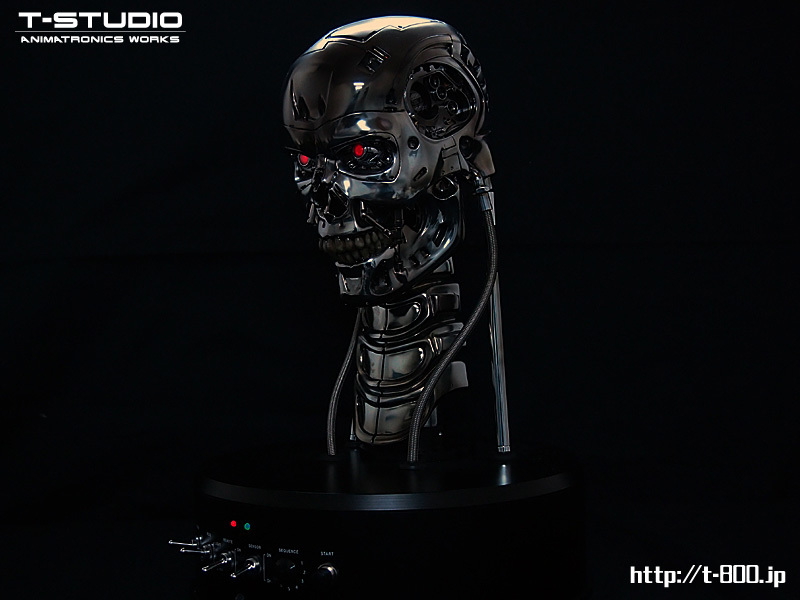 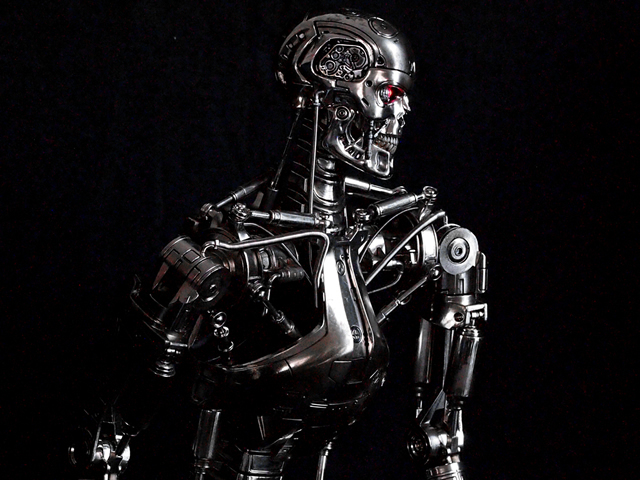 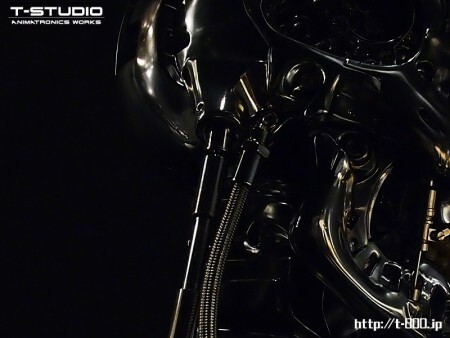 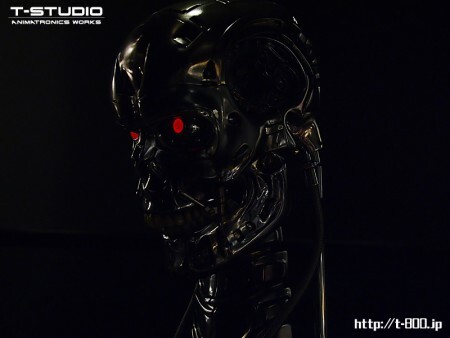 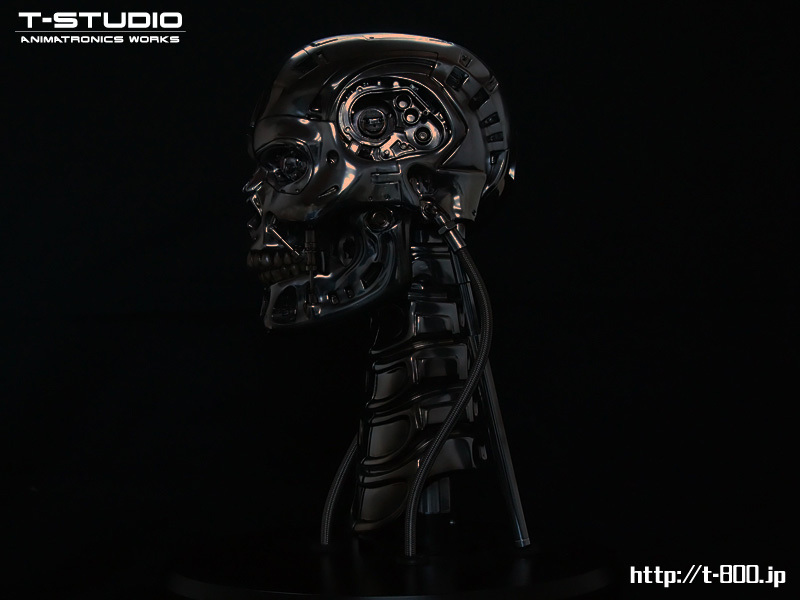 James Cameron is said to have imaged an Endoskeleton arising from flames when he put together his first Terminator image; ver.2.3 is a replication of that image.The model parts are reinforced to withstand overseas shipment, as well as improving mechanical durability. Movements were enhanced to include any movement that was technically possible. 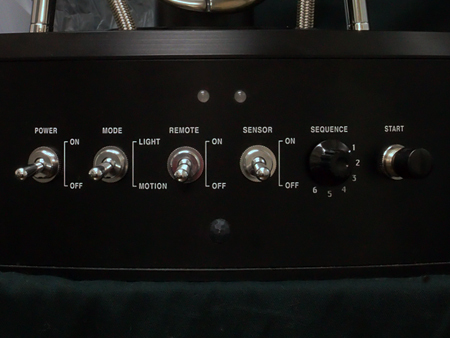 Newly added a sequence dial with 4 modes, remote control, and infrared sensor (see here for details). 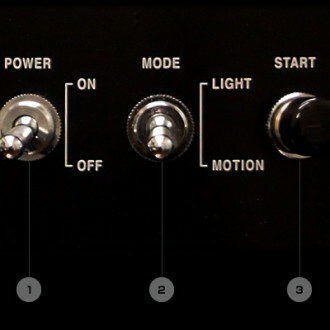 Motion sequences can be selected from two modes, and with each mode you can choose between running the sequence once or three times.This can be controlled by the dial in front of the pedestal, or from the remote control.A 100 – 240 V universal power supply was implemented to support usage in most countries, as long as you use a plug adapter.